Well today is technically the first day of Spring…… Mother Nature you are a cruel lady! You can have a garden no matter what size of home you have. 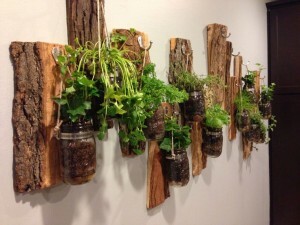 Gardens can be on the wall, hanging, in pots, in the ground. If you have something that has a hole in it…. you can grow a plant. This week I am going to focus on herb gardens indoors. Something you can start right away and not worry if its going to get killed by frost. Growing herbs indoors is an easy and rewarding hobby. From a few plants on a windowsill, to a complete indoor lighting and watering setup, growing herbs is fun! Here are 7 you need to know to grow a healthy garden indoors. Keep herbs healthy by providing 14 to 16 hours of artificial light, or 6 hours of natural light a day. Herbs need to have proper airflow to keep bacteria and pests at bay. Be sure to keep the air moving in the room that contains your indoor herb garden. 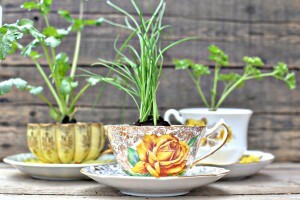 Indoor gardening soil has to be light and have exceptional drainage. Buy potting soil specifically, or make your own using 1 part bagged potting soil, 1 part sand and 1 part peat moss. Indoor herbs require a a different fertilization schedule than those grown in an outdoor environment. 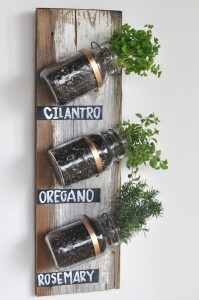 You can grow your herbs in just about any container. A few things to look out for would be insects, water drainage, and enough sunlight. Indoor herb gardens require careful attention to watering, no matter if your herb likes extra moisture or drier conditions, a plant sitting in water is never good. Although herbs are not bothered as much as vegetables and flowers can be, in an indoor garden, the artificial conditions can increase your pest problem. To prevent pests from ruining your indoor garden, keep a close eye on your plants and use a soapy spray at the first sign of infestation. Handpick any pests that you see and provide sticky traps to control the rest. If you have pets you will need to keep an eye on your plants. Animals attract tiny sucking insects that will hover and crawl around your plants. You can get rid of them with tepid soapy water.Using a spray bottle simply mist the plant, make sure to get under the leaves as that is where bugs like to hide and lay eggs. Water drainage is essential, you need to make sure that your herbs are not sitting in water. During the winter, (and if you do not have direct sunlight in your home) I would suggest getting florescent lights as they will provide proper lighting for your herbs. Herbs grow very well indoors. They take no more time and effort than a regular houseplant once you decide on the best location for them. 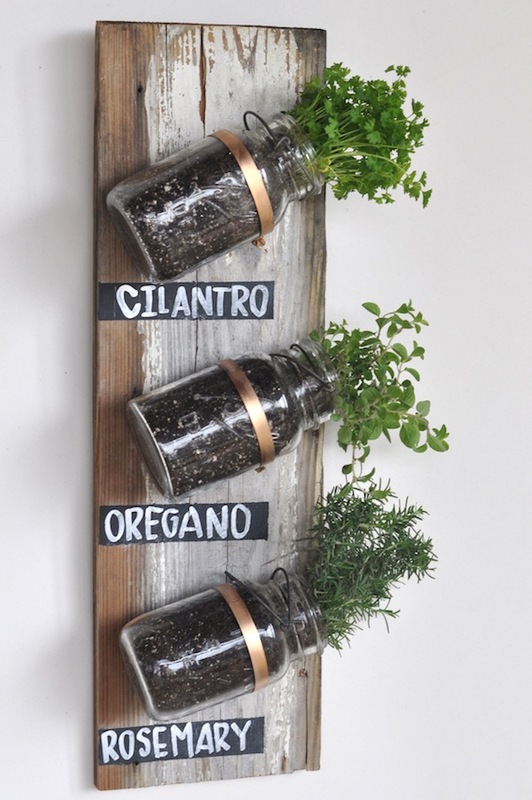 Use the different areas in your home to grow herbs with different needs. You will soon have delicious herbal additions to your home with little fuss. If anyone reading this has an indoor herb garden please feel free to take pictures and share them with us! You can email them at homereuseables@gmail.com or facebook them to us!! We would love to see them. Also next month we are planning a Tea Cup gardening class 🙂 Using tea cups from FIND Edmonton, we will be making herb gardens. Price to be determined.